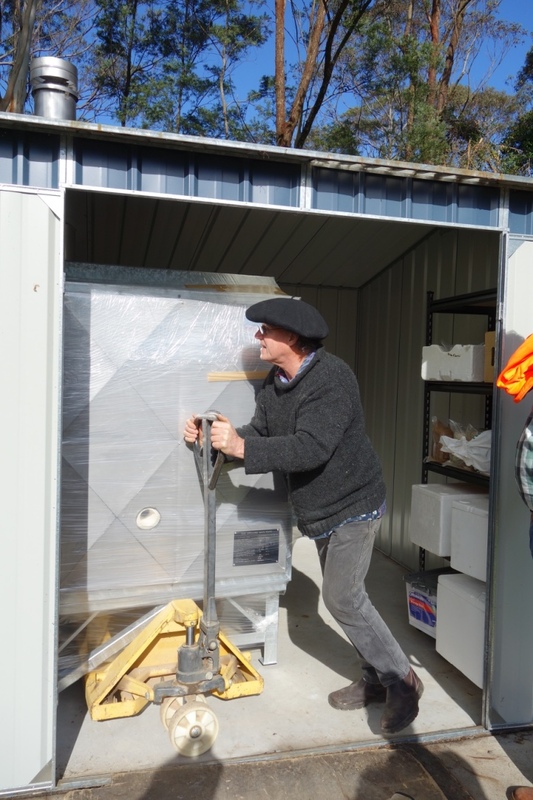 Delivering a Kiln, What Could Possibly Go Wrong? 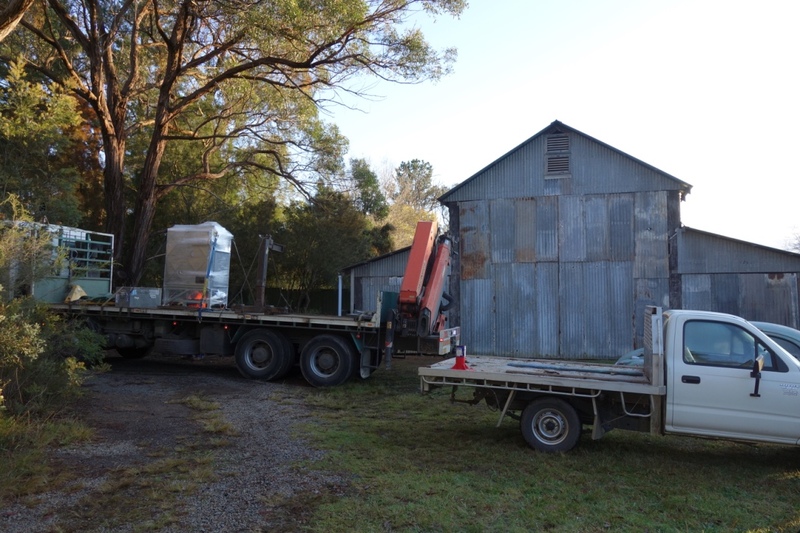 A Kiln Delivery, What Could Possibly Go Wrong? 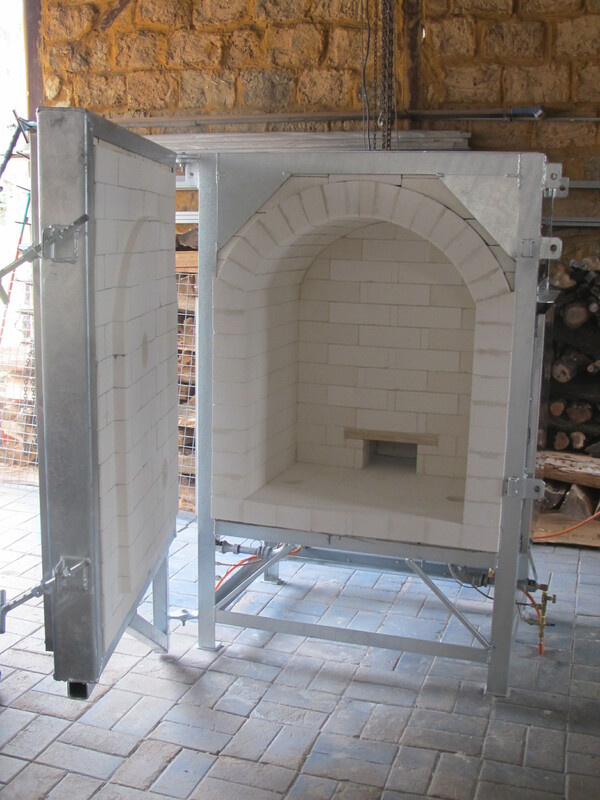 I have just finished another kiln for a customer. It’s a beautiful thing. There isn’t anyone capable of making anything like this in Australia any more. All the skills are gone. We are a country of importers of cheap junk these days. Everyone wants something for next to nothing, or even cheaper. This may sound rather jaundiced, but how else do you explain the rampant rise of Bunnings and Ikea, and all the other Chinese import companies. Power tools for $12 each, of course they are not going to last more than 10 minutes. Note to self – don’t buy cheap plastic junk! I try and buy only things that I really need, and if I really do need it. I try to buy something of quality, that will last a very long time. I don’t throw things out until they are really worn out, and then I try to recycle them into something else if I can. Finally, if it is really organic and wholesome. There is always the compost heap or the metal recyclers if it isn’t? 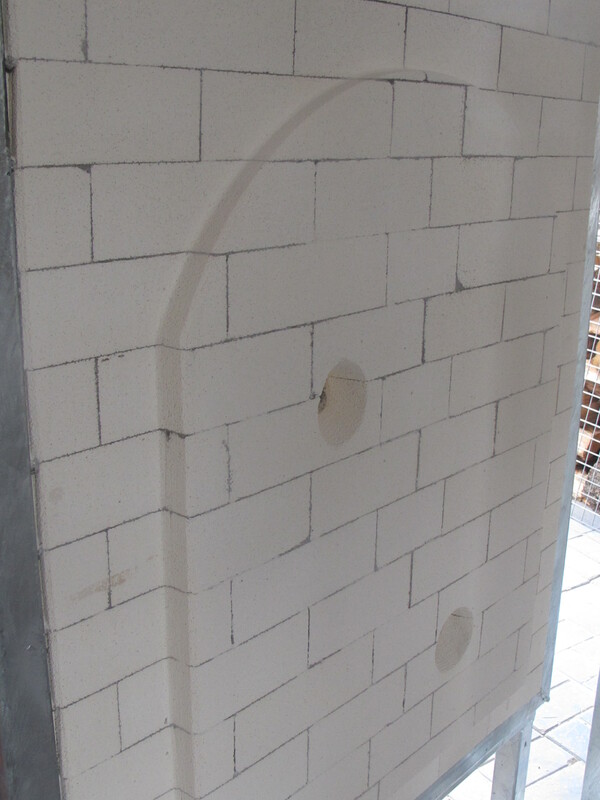 This kiln is not just beautiful. It’s solid and gorgeous. I’m very proud of it. I spent a lot of time on it. It will last its owner for all of her life and then someone else’s as well. I do a lot of organising before I set out to deliver a kiln. If the site is close enough, I go there and check out the site myself, but if it is a long way off. I usually do all the organising by email. Images sent back and forth of driveways nd other access points. Measurements of gates and shed doors height and widths etc. I try to think of everything, but there is always some sort of surprise in store for me. You never know who will turn up to “help”! See ‘The Best Laid Plans’ posted on this blog on the 18th of March this year. We get started early. I use my friend Dave who has a big truck with a ‘Palfinger’ crane. He is a real gentleman and takes such a lot of care with everything that he does. I really trust him completely in matters of lifting heavy things. 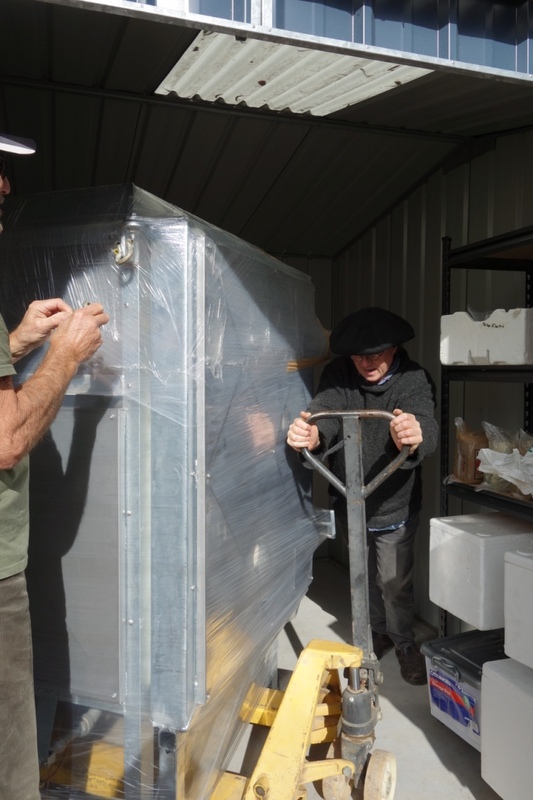 I shrink-wrap and load the kiln onto my truck the day before and then drive it up to the drive way near the road, where Dave’s big truck can get to, to lift it off my little truck and onto his, for the long trip to its new home. 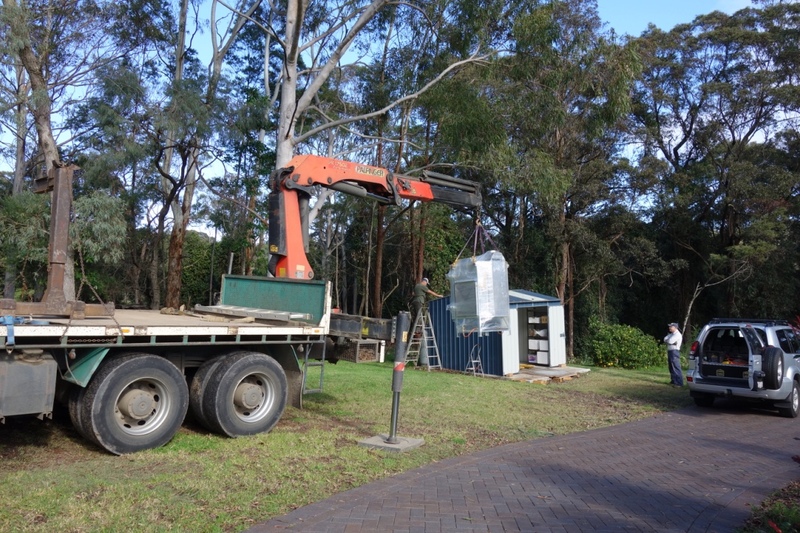 Because we are so efficient, we arrive at the site a bit early and manage to reverse in through the narrow gates, then down to a spot quite close to the garden shed, where the kiln will be housed. The clients are there to greet us, as is the local tradesman who they have engaged to help us. 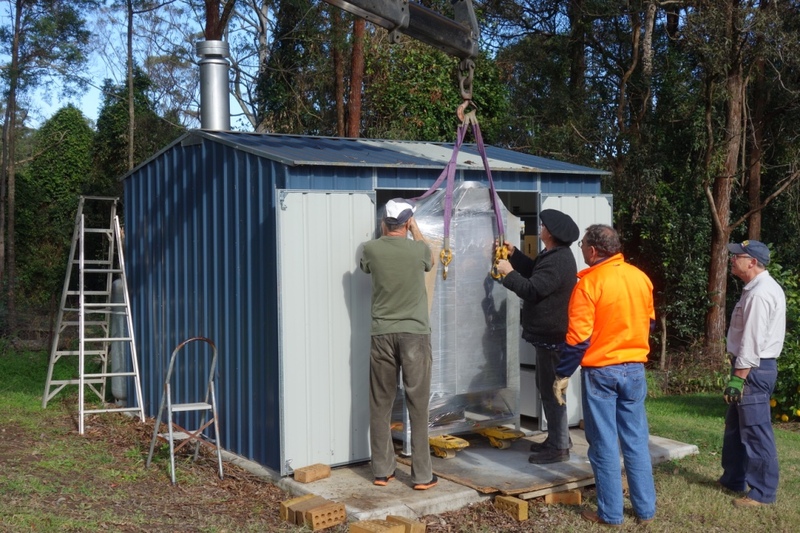 The kiln comes off the truck and across the lawn and into the doorway of the shed without a hitch. Dave can manoeuvre the crane with a tonne hanging from it at a 13 metre distance to within 1 cm! It’s always astonishing tot me how much accuracy he has developed with this machine over the 30 years that he has been doing it. This is how it is all supposed to be. everything considered. However, you can never really know what the local drunk and the crazy neighbour will do when push come to shove. On this occasion, they are nowhere to be seen and everything goes as it should. 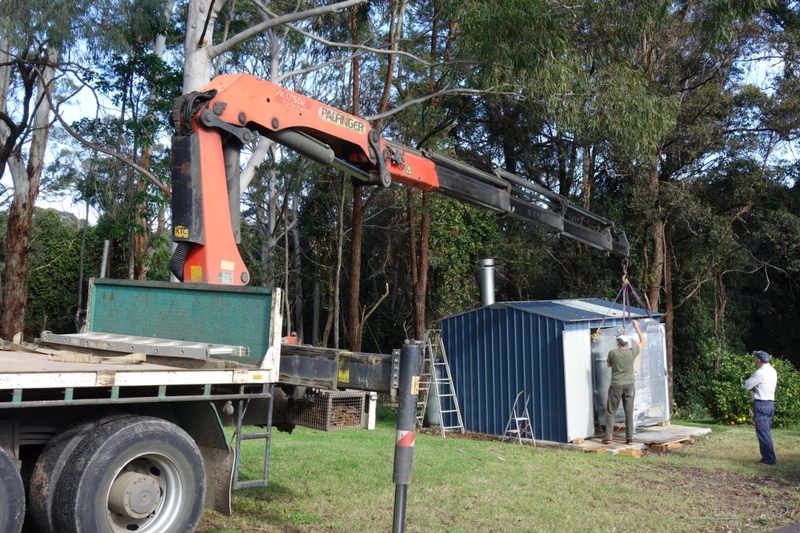 Dave lowers the kiln across the lawn and down onto the kiln shed slab. He is so professional, carefull and accurate with that crane. 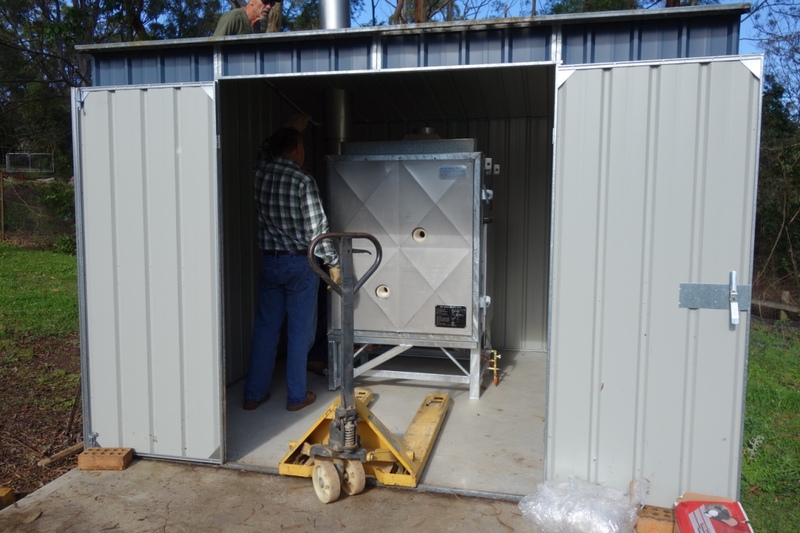 The kiln is lowered down directly onto the pallet lifter in the shed, so that I can wheel the kiln into position without a hitch. 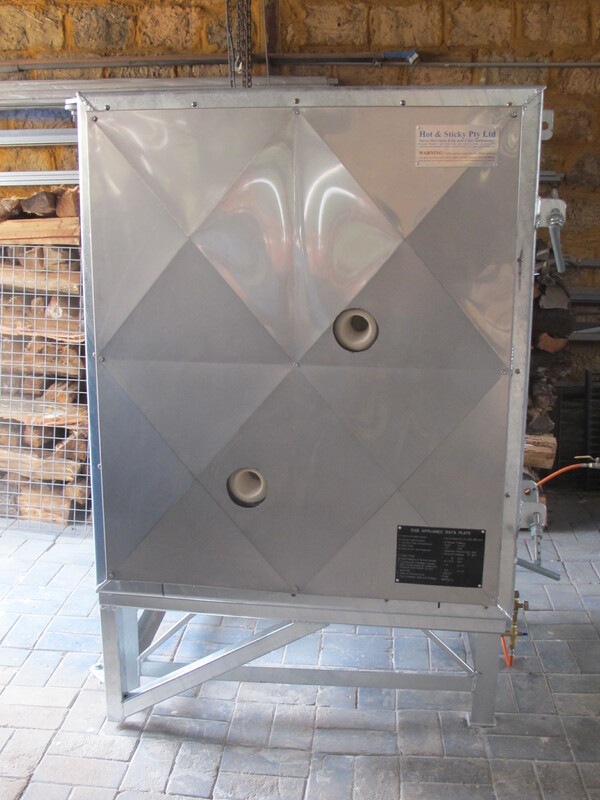 We install the flue kit and seal the roof and we are all done. Everything sweet and precise, all done without a hitch. This is how it is supposed to be. What could possibly have gone wrong? I’m home early and have time to do a bit of weeding in the garden, then a clean-up in the kiln shed ready for the next wood firing workshop. So completely different from the last time.